The pricier beauty products are, the pickier I get when purchasing them. And when I mean picky, I mean returning to Sephora FIVE TIMES for the perfect eyeliner – aka a low point for me since eyeliner is my #1 staple. That being said, this especially includes fragrances. For the past 3 years, Chance Eau Tendre by Chanel and I have been in an exclusive relationship where I’ve basically been trained to reject every other brand. 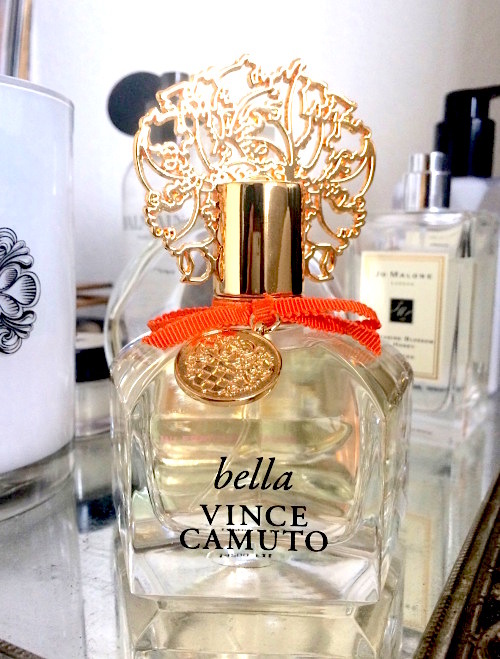 However recently, I was sent the newest addition to Vince Camuto’s women’s fragrance collection – Bella Vince Camuto. The bottle’s appearance was the farthest from deceiving, boasting a mystical gold crown and an orange ribbon attached to a Vince Camuto emblem charm. It was a fitting introduction to the luxe fragrance revealed inside the bottle. “Bella Vince Camuto is inspired by the allure and passion concealed within all women.” This feminine fragrance embraces the idea of being a female today – brilliant, bright, bold, bella. A combination of jasmine water and nectarine blossoms makes this crisp and juicy scent extremely wearable whether it’s for a day at the office, a GNO, and most definitely a romantic date night. What attracts me most about this perfume is how smooth and luxurious it smells on my skin. Unlike many fragrances, it’s not overbearing or too empowering after a few sprays, and the hint of floral flavor is just right – both of which can be instant deal breakers when I test perfumes. Bella Vince Camuto comes in a 3.4 oz bottle, and runs for $78.00 in stores and online. I love you Chance Eau Tendre, but my heart may have just been temporarily stolen. 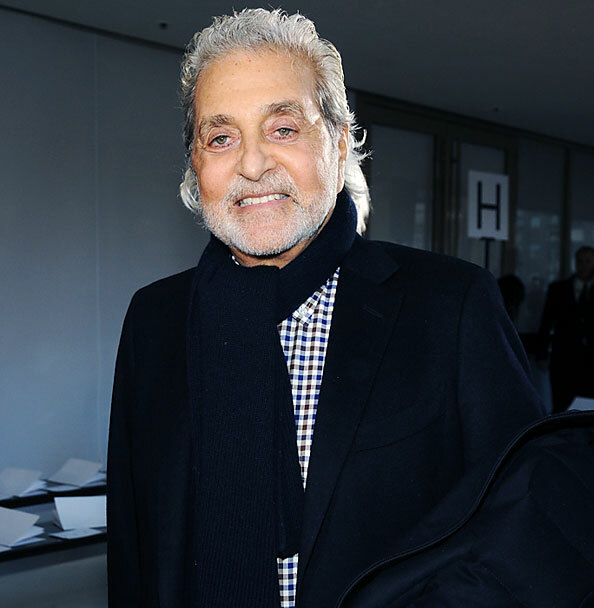 Although Vince is no longer with us, his drive to succeed, passion for fashion, and his iconic taste will remain forever. Thank you for being a leading example not only to the fashion industry, but to females and males everywhere chasing their dream. Confessions of a Hairy Guy Who Got Waxed. And Live To Tell The Tale. But so nice that you found a new fave fragrance and his legacy lives on in all his brands. ps, what’s that jo malone bottle in the background? I had a not-so-brief love affair once with her blue agava & cacao scent.